Alan Gordon just gets it. There are many pre-judgements about the United States in relation to football, or as they call it soccer. However we found out that there’s at least one American that totally gets it. Actually a lot of European players could learn from Alan Gordon. 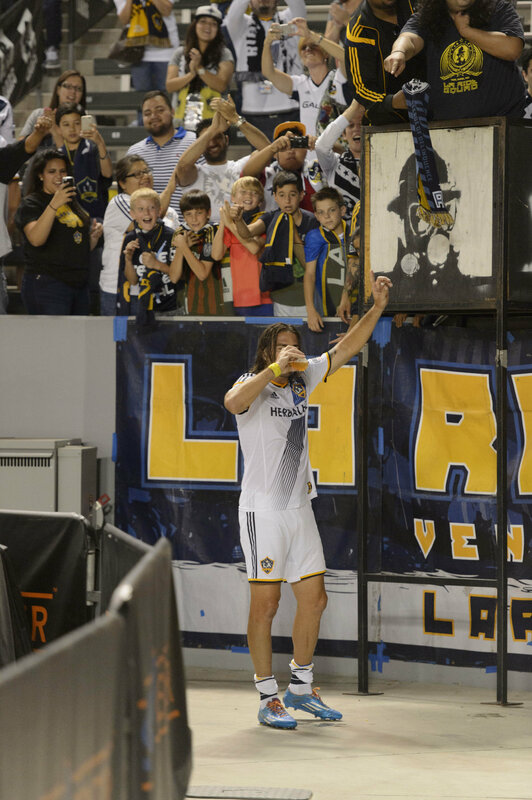 This player of LA Galaxy sprinted towards the fans after his team won by 3-0 against FC Toronto and had a beer with them. Nobody cared that he made the third goal himself. Even the fact that teammate Landon Donovan broke the record for most assists (136) in the Major League Soccer was irrelevant. Gordon just gets it, cheers mate!